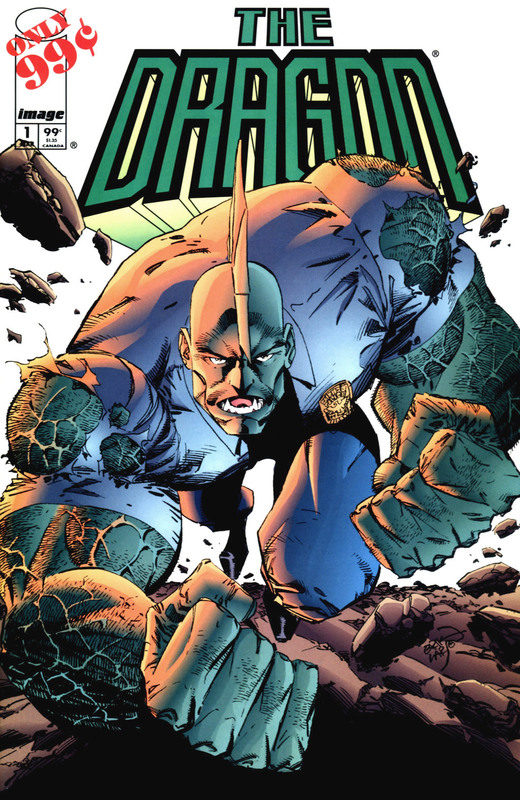 OPERATION: URBAN STORM from the SAVAGE DRAGON TP, plus all-new material. A nurse named Ann Stevens calls the amnesiac super-freak Dragon due to his unique appearance and he likes the name enough to adopt it as his own. Frank then arrives with a proposal for Dragon, pointing him in the direction of his cousin’s shipyard for a place to work and live. After the explosion that killed Fred, Frank comments to his wife how he was desperate after villains killed Mighty Man and crippled SuperPatriot, making him want Dragon on the force as a replacement. He had wanted Dragon to sign up but not at such a high price. Dragon was unsure that he could even qualify to become a police officer due to his unknown background but Frank assures him that due to special circumstances, it should not be a problem. Once the police training had commenced, it is revealed that Dragon has incredible aim with a weapon but when Frank questions how he could be that skilled, Dragon reacts badly due to the frustration caused by having no memory over how he came by these abilities. Upon graduating from academy, Dragon is fully inducted onto the police force and enters his new precinct with Frank Darling. He is introduced to a number of his new colleagues including an officer named Howard Niseman. This bigoted man does not desire to have a super-freak on the force and only recently avoided getting fired over beating an innocent black man. Howard attempts to enforce his position as the alpha male of the precinct but Dragon simply shrugs off his threats. He then makes it very clear that he has no tolerance for racism and hopes that his induction onto the force may help ease tensions between humans and super-powered mutants.